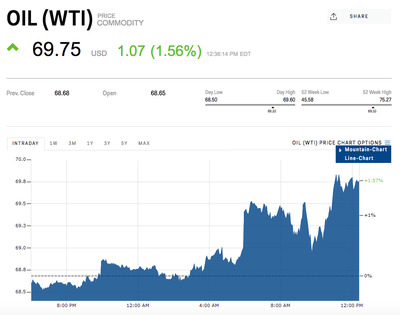 West Texas Intermediate crude jumped 1.5% to $US69.72 per barrel at 12:45 p.m. ET. Brent, the international benchmark, rose 1% $US74.15 a barrel.